Engineering and technology group SENER has announced its involvement in the 50MW Kincardine floating wind project offshore Scotland. Fitted with a 2MW turbine and five other 9.525MW turbines, the project is expected to be operational by 2020, making it the largest floating offshore wind farm in the world. The project is being developed by Kincardine Offshore Windfarm Ltd (KOWL), which is majority owned by Spanish construction company Cobra, some 15 kilometres offshore Aberdeen. SENER’s work will range from supervising the manufacture of the floating platforms to analyzing the technical feasibility of assembling the wind turbines, as well as providing technical assistance in monitoring the plant. 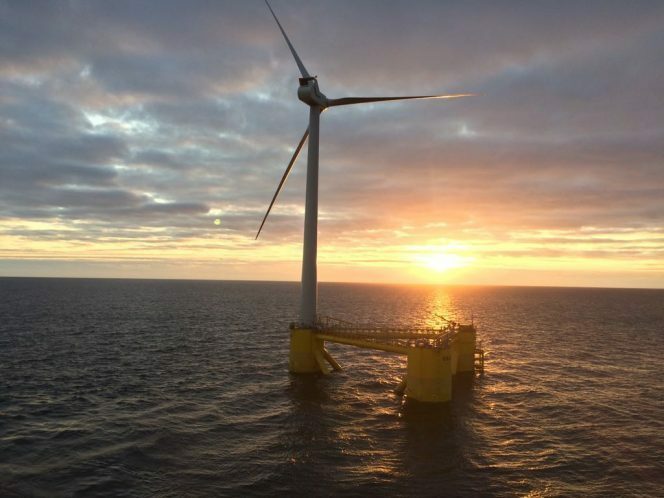 ”The purpose of this collaboration between COBRA and SENER is to liaise in reducing costs for future floating wind farms, as we consider this option to be the most appropriate for any location with adequate wind and where depth impedes a conventional foundation,” Sener’s Renewables Director, Miguel Domingo, said. The aim of the Kincardine project is to show the commercial viability of the floating wind and to provide Cobra with the necessary experience in developing similar projects around the globe, mainly in Asia.